Pros: Turbo thrust; limited-slip differential; outstanding overall performance; bang-for-the-buck factor .... and it's even practical. Cons: Smiling front end doesn't do it for me. 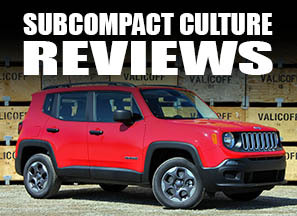 Overall: Great performance, driving dynamics, tech features, and practicality make this vehicle a standout. The Mazda 3 has always been “a driver’s car”—especially the turbocharged Mazdaspeed 3— and the redesigned 2010 model aims to keep a good thing going. Speaking of the Mazdaspeed 3, it, along with the rest of the 3 lineup, has been redesigned for 2010. Go-fast goodies include a 16-valve DOHC, direct-injection 2.3-liter turbo four cylinder engine, sporty suspension tuning, unique interior bits, and more. 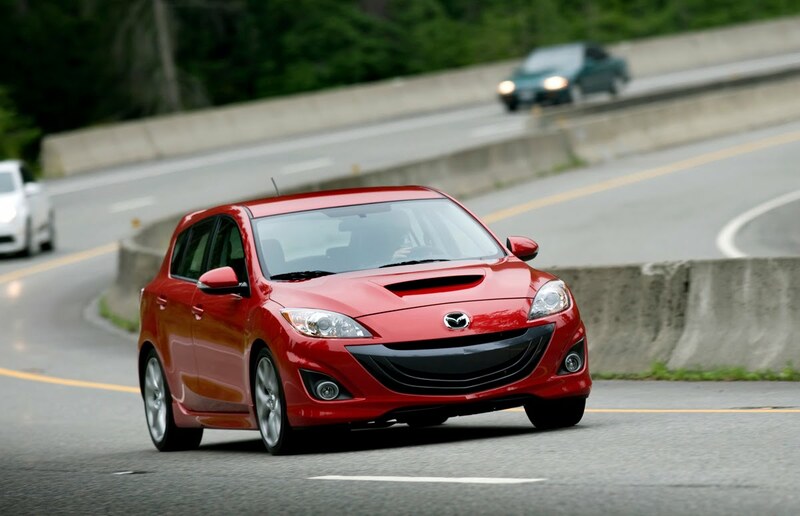 The Mazdaspeed 3 (or the MS3, for short) is only available in hatchback form, which makes it one of the most practical performance-oriented vehicles available. The MS3’s exterior is an interesting look. As a whole, the vehicle looks racy with its ground effects, functional hood scoop, rear spoiler, 18” wheels/tires, and my car’s case, Velocity Red Mica paint (possibly one of my new favorite automotive colors). Then there’s the front fascia, which like most of Mazda’s lineup, looks like it’s perpetually smiling. Onlookers also suggested it looks like a whale’s baleen mouth or a happy carp. The car definitely looks different. However, for me, it’s more good than bad. Inside the MS3, you’re greeted by more raciness: Highly bolstered, supportive seats; aluminum racing-style pedals; a fat, chunky steering wheel, and well-designed ergonomics all add to the sporting feel. My test vehicle had a cool looing polka-dot fade interior pattern, which worked for me. The radio/climate screen and navigation display are located high up on the dashboard and set back. It’s different, and it works. The gauges are also legible and easy to read. One of the best things about this car’s interior is its practicality. The cargo area is spacious, and the rear seats fold down to make for tons of storage. Whether it’s a trip to Costco or hauling a bunch of folding chairs for a party, the MS3 was up to each task I put it through. This blend of power and practicality is outstanding and lots of fun, too. Whether you’re talking about the engine or the interior features, the MS3’s tech is abundant. Mechanically, you’ve got a turbo and intercooler, direct fuel injection, limited-slip differential, and all of the safety features out there. Interior wise, the MS3 has a great, easy-to-use Bluetooth system; a fantastic Bose stereo with aux/USB hookups; and a navigation system that works seamlessly (and information can be inputted with the steering wheel controls). Best of all, you don’t need an engineering degree to figure it out. Most of the functions are pretty straight forward. What makes the MS3 truly unique is its drivetrain. The direct-injection, turbocharged 2.3-liter four cylinder has lots of grunt at nearly all speeds. Mazda only offers the car with a six-speed manual transmission, and that it’s a good one with well-defined gates, and smooth, well-weighted shifter action. Clutch engagement is a on-or off, though and is kind of heavy for a four cylinder, but hey—this is a performance car—and when it grabs, it grabs hard. From the time you crank the engine on the MS3, you can tell this is going to be a fun car, and make no mistake, it is a fun car. Acceleration is very quick with published 0-60 times of about six seconds. Foot-to-the-floor acceleration means wheel spin throughout first and most of second gear with the traction control light flashing most of the time, not to mention inevitable and copious amounts of torque steer. 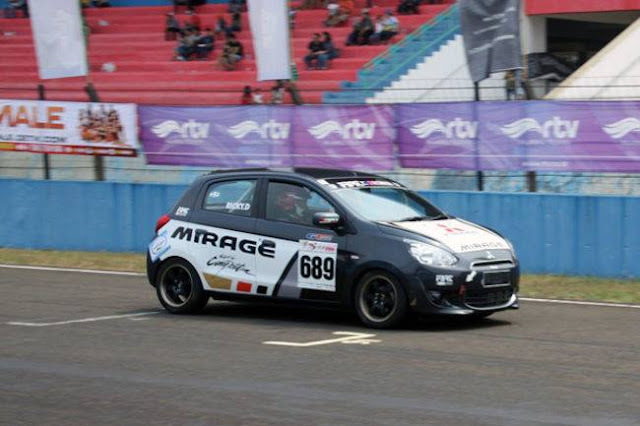 When you floor it, you need to 1) hang on tightly and 2) be paying the utmost attention! The car was noticeably quiet … not too quiet, though. Handling is at the top of its game thanks to a limited-slip differential, meaty 225/40/18 tires, and a sport-tuned suspension system. The MS3 loves the twisties. This car is grin-inducing, much like the car's front fascia. Maybe that's why it looks that way? This is one of the (if not the) best bangs-for-the-buck around. All this power, handling, tech, and styling lists at just $25,880 including destination. Base price is only $23,195 plus destination. That’s a great deal for the performance, the practicality, and the fun. This one’s a slam dunk for me. Mazda has really created something great with the new Mazdaspeed 3. Just about anything you could want in a turbocharged hot hatch is there in spades. The only things that weren’t tops of the list: the front-end styling and the 18/25 fuel economy. But really: If you’re looking for stellar MPGs, you’re not going to opt for the MS3, anyway. 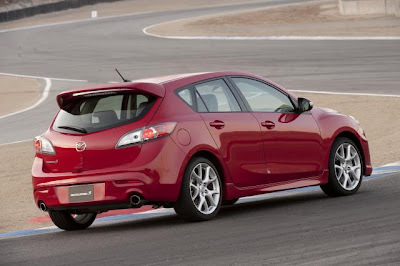 If I were in the market for a fun, practical vehicle, the Mazdaspeed 3 would be at the top of my shopping list. 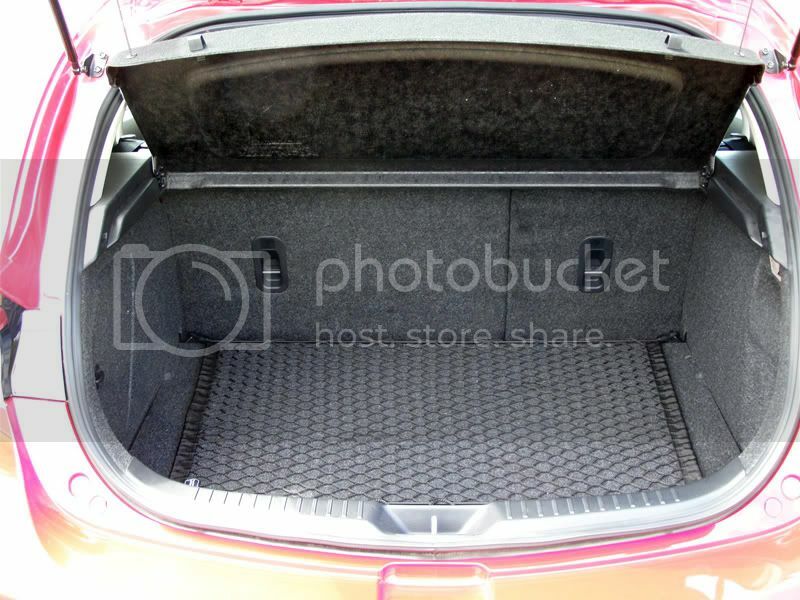 I got a question....How much trunk space does it have with the back seats up? WOW! What a great car for a young family that wants to stay away from the mini-van stereotype! !